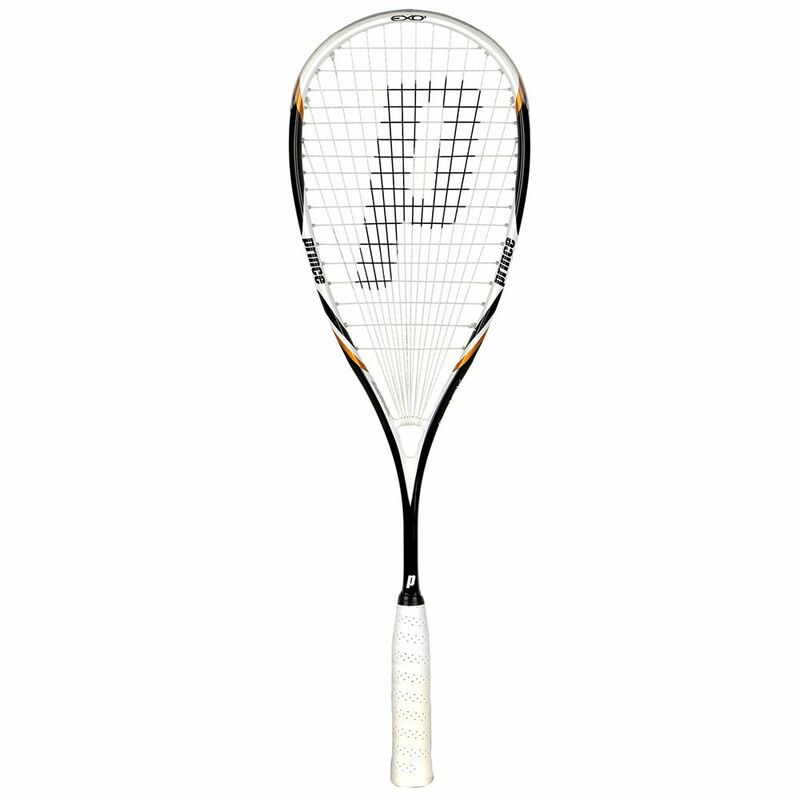 Endorsed by former PSA world number 1 Peter Nicol, The Prince Team Peter Nicol 700 Squash racket is ideally suitable to a broad range of players with varying abilities/styles. We believe all can use and love this racket as much as we do! At 140g (4.94oz) in weight, this frame has great stability yet is still manoeuvrable. It features two of Prince's most revolutionary racket technologies, EXO3, designed to add power to off centre hits and Power Ring designed to give added power but with consistent feel over the whole string bed, both of these technologies deliver significant improvements to your game. The racket has a 100% high modulus graphite frame and with an even balance it provides an excellent blend of power and control. Excellent well balance racket for club team player. Powerful and comfortable. very pleased so far. does not feel like a heavy racket. good control and power. This is the third Peter Nicol racquet I have bought. One of the best I've had - great balance and as powerful as I need it to be. Feels lighter than the 140g unstrung weight it is supposed to be. Delighted with racquet Improves speed/power as advised Better than playing with junior racquet used previously . Great service and a great racket . It has improved my accuracy and my overall game . Great racket, really good quality and very light. Grip is excellent and seems a nice blend of power and control. Fantastic service from the Sweatband team. The bag that come with the racket is a bit odd, big and green, but at the end of the day its the racket that counts. I've always been a fan of prince rackets and this one doesn't disappoint. Why is it so trendy to use white grips when blood and sweat marks show up so well?! What an amazing racket. After a lapse of over 17 years, I needed to replace my old racket, and the Peter Nicol Pro 700 was one of two on my shortlist. As luck would have it, I met a player at my local sports centre who has this racket, and he kindly let me try it. My immediate reaction was one of stunned disbelief. 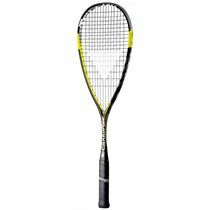 The even balance gives a perfect blend of power and control, the 140 gram weight gives excellent stability, and the large sweetspot is awesome - I needed no more convincing that this was the perfect racket for me. Sweatband's service and next day delivery was also superb. Many thanks. Great racket , wanted it a while but got it on a special offer. Great service as usual from sweatband as it came the following day. Get plenty of power with this one due to the weight. Really enjoying the added power compared to my old one. Excellent power and control! The racket is as described on the site - was delivered in a timely manner so no complaints here! 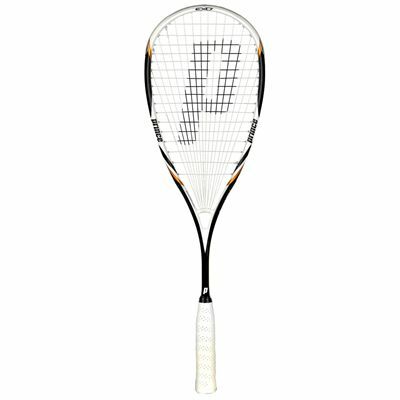 Just bought this new Peter Nicol racket and I am thrilled with it! It is even balanced, powerful but not uncontrollable and has a great blend of everything. Could dig balls out of the corner and still be able to drop the ball just above the tin. Will definitely be using this racket for the long haul! After 15 inactive years the squash bug came a calling and replacing my extender featherlite was required. This one was a similar weight and was not head heavy I thought it worth a punt. 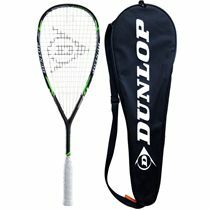 Very easy to play with, and has increased power, it's a great all round racket - its not perfect for me yet as I'm having to adjust to a non head heavy (as well as relearning court craft) which is affecting some of my control. I did have to send it back to sweatband with a frame breakage - and I can't praise the service and speed of resolution highly enough along with absolute clarity on the process. Sometimes stuff breaks and customer service matters more than the problem. 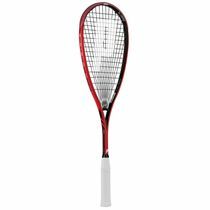 I do have to mark down due to the breakage but the excellent service brings it up to 4.
for submitting product review about Prince Team Peter Nicol Pro 700 Squash Racket.